Embassy Suites Irvine celebrates their 30 year anniversary with an unveiling of a $12 million renovation; a top to bottom transformation with a refreshed atrium and lobby, a new restaurant, Vibrante, as well as upscale, updated suites and meeting/event spaces. Along with the modern and elegant elements enhancing the hotel, Embassy Suites is also offering a range of amenities such as a complimentary John Wayne Airport shuttle service, cooked-to-order breakfast, and evening receptions which include appetizers and non-alcoholic and select alcoholic beverages as a part of an open bar. 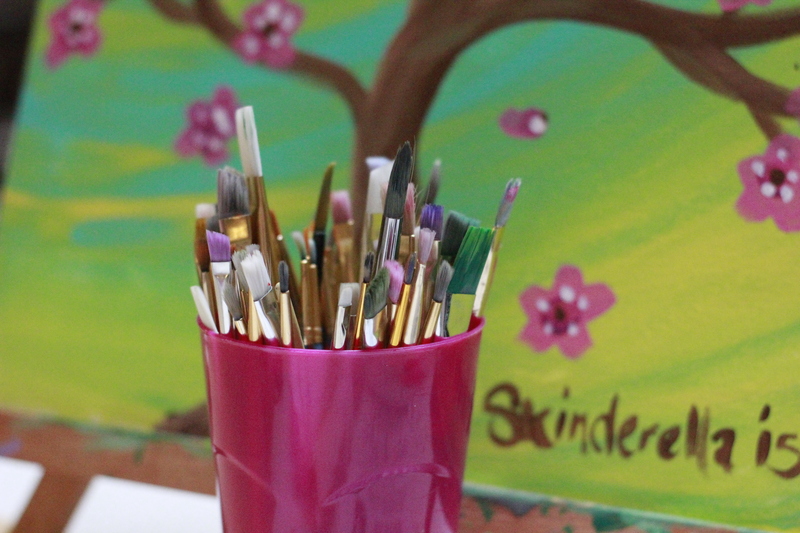 A very exciting, new offering for guests as well as anyone that wishes to experience it is the Creative Canvas painting classes taught by local artist and author Airyn aka Skinderella. 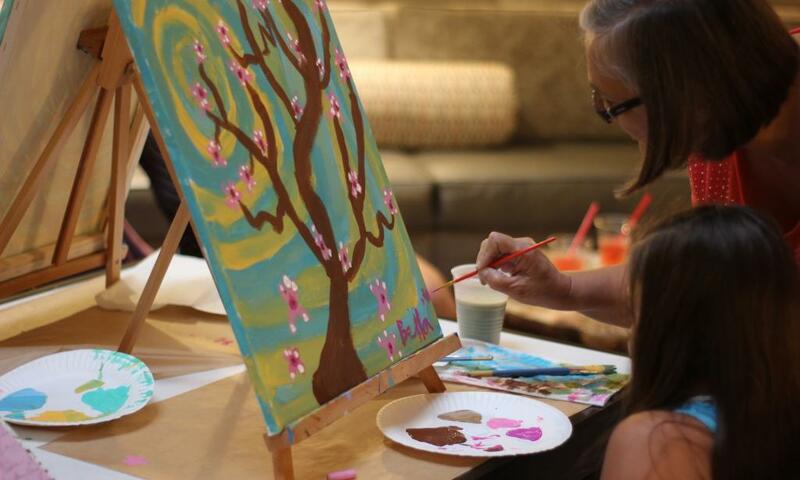 I myself got to join Airyn and the Embassy Suites Irvine hotel guests and guests from around the Irvine area for a painting class last Wednesday to re-create our own blossomed-tree painting that was originally painted by Airyn. 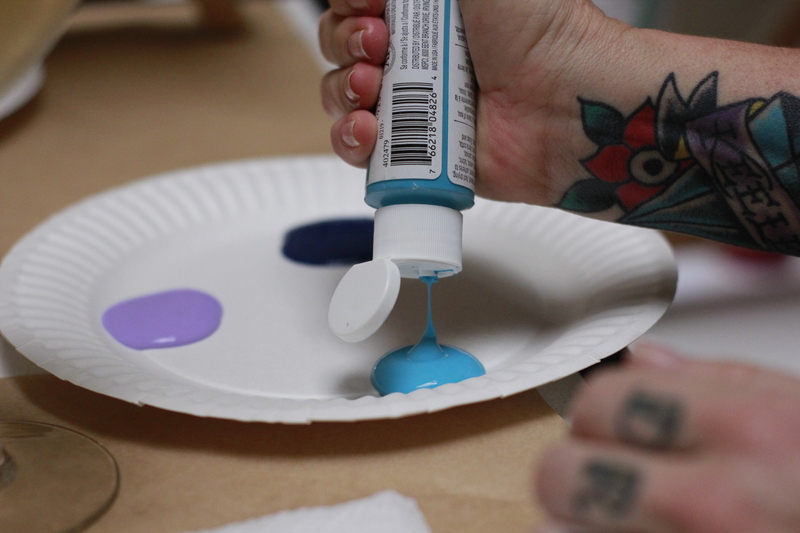 Every guest sits at their own station equipped with a blank canvas, apron, paint brushes and a plate for paint. Although we were all modeling our painting after the example painting, Airyn mentioned that we were able to choose any color background we wanted to paint, therefore, I decided to paint a navy, turquoise and lavender background for a moodier feel. 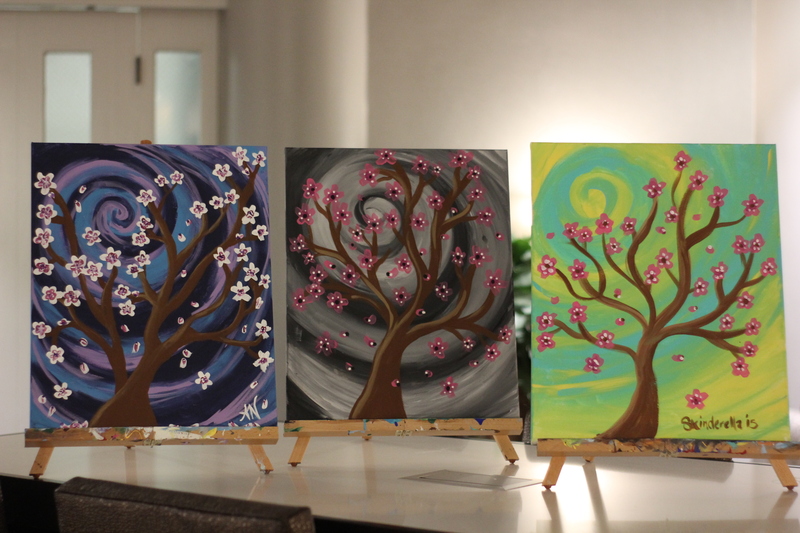 Some guests wanted to paint different type of flowers and that was 100% encouraged. Airyn is an amazing instructor, she&apos;s really great at providing clear and helpful visual instructions, as well as assisting for one-on-one guidance. 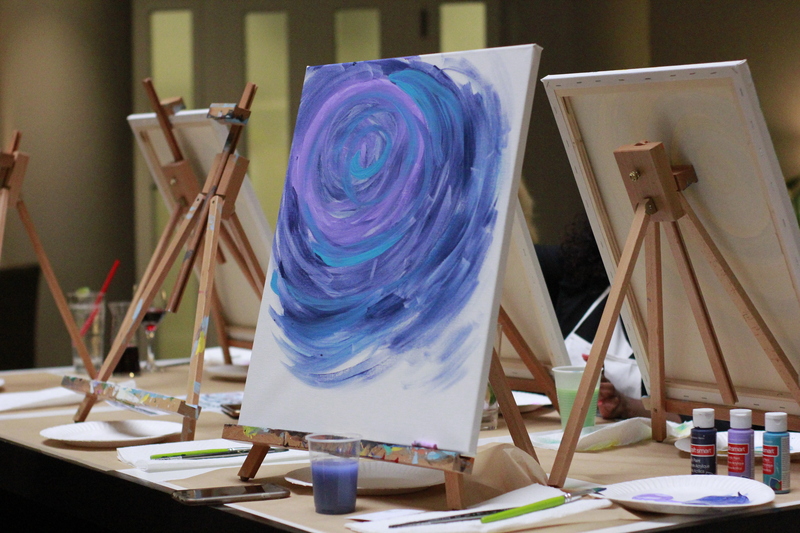 You don&apos;t need to have any painting experience to paint a beautiful painting and be able to have fun! As well, the class is great for guests of all ages! 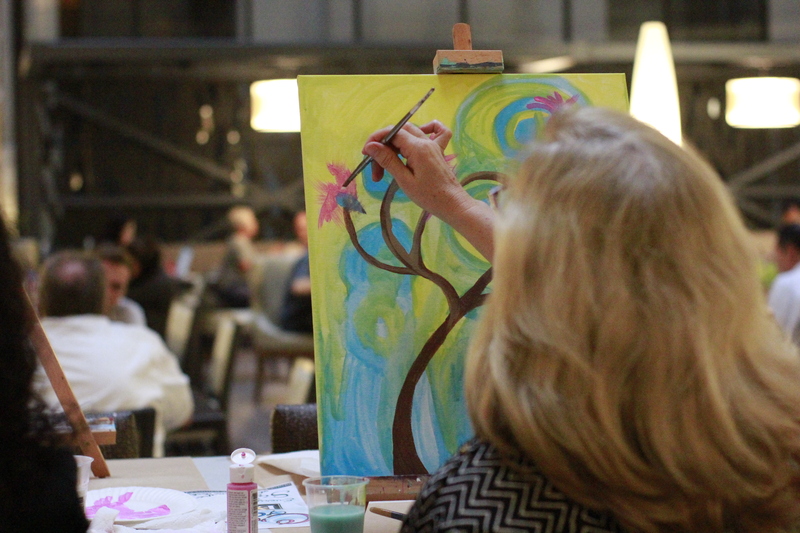 While painting, you can enjoy the evening reception (until 7:30pm) if you are a hotel guest, if you are not, the entire Vibrante menu is available for ordering and enjoying. 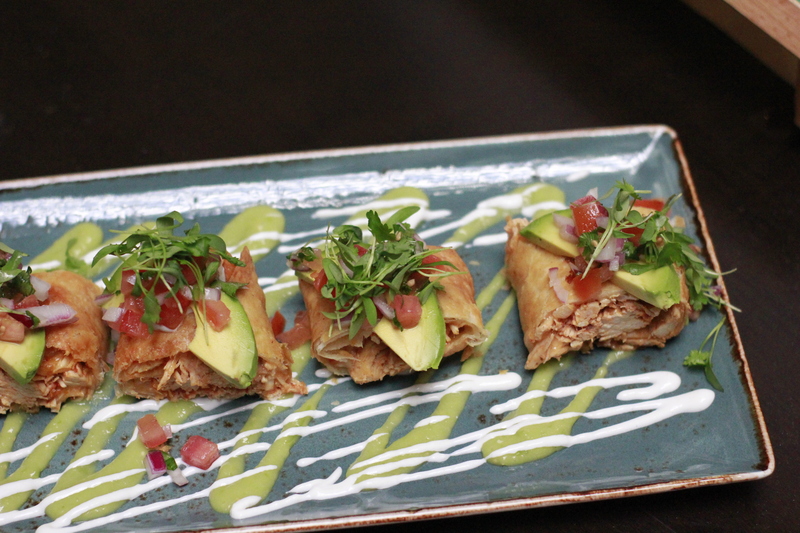 While painting, I enjoyed a glass of wine and Tinga Chicken Flauta (Local Tortillas, Avocado Salsa Fresca, Micro Cilantro), which was absolutely DELICIOUS. I love that there is a handful of gluten-free dishes that do not sacrifice flavor, and ingredients are fresh and locally sourced. 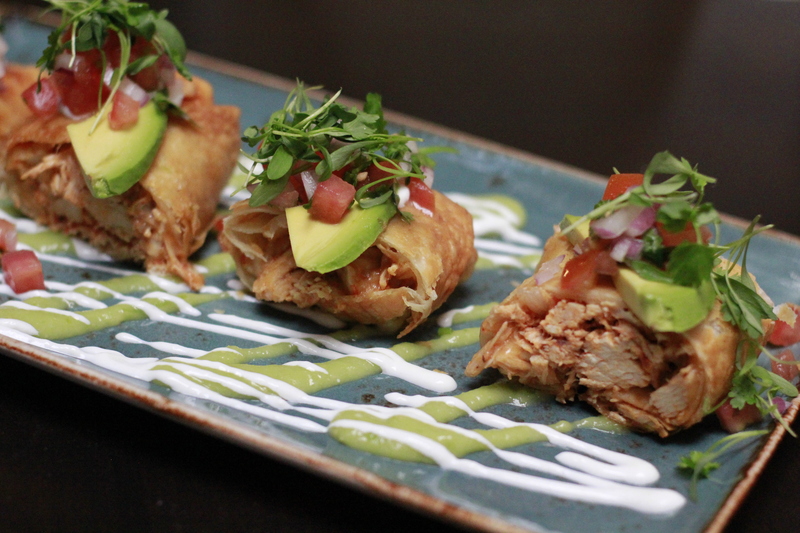 Vibrante is a wonderful restaurant to enjoy modernized traditional Mexican dishes; have a formal sit down dining service with business associates or come by for a casual dinner or small plates & drinks with family or friends. 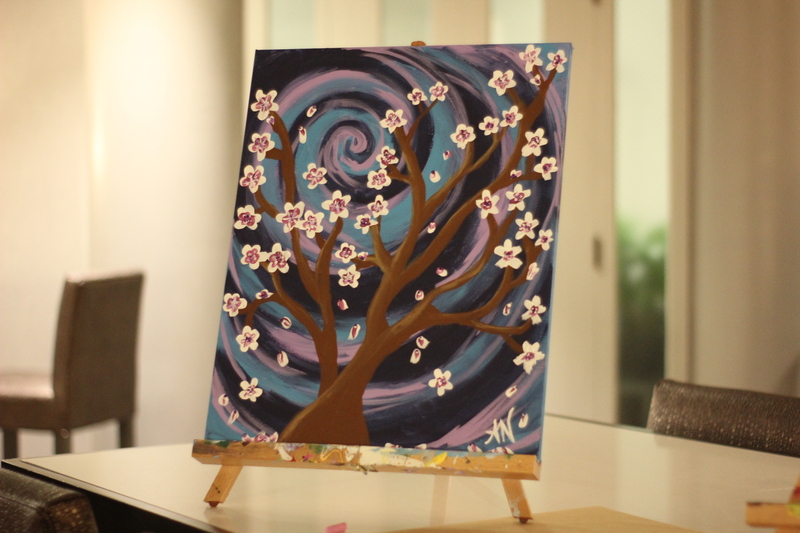 Back to the painting class, it was interesting and fun to see each guests&apos; paintings come to life and to see different personalities and variations in each painting. 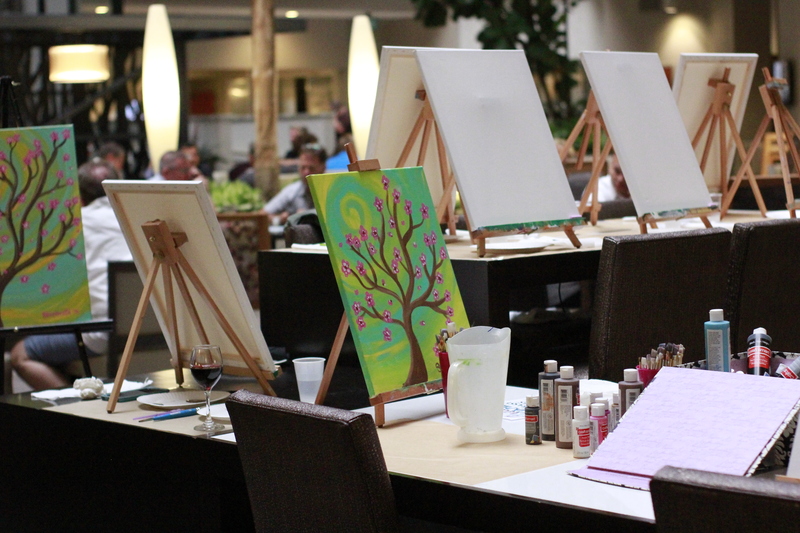 I always love an art class, there&apos;s something therapeutic about it; now add a beautiful location like the Embassy Suites Irvine and yummy food and drinks from Vibrante and I&apos;m all set for a great and inspiringly, creative evening. 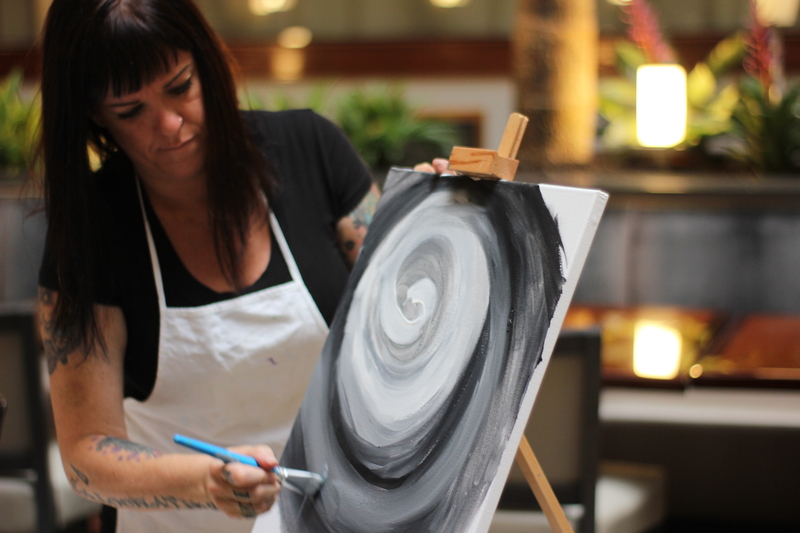 If you want to explore your inner artist or pick up painting again, join Airyn for a Creative Canvas class at the Embassy Suites Irvine next Wednesday, July 6th from 6 pm - 9 pm! 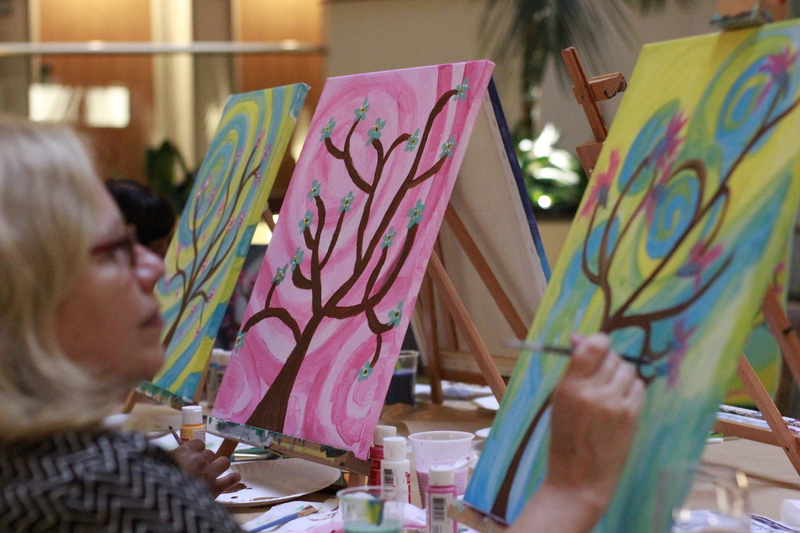 Sign up for the class, as well as see what paintings will be painted and class dates! 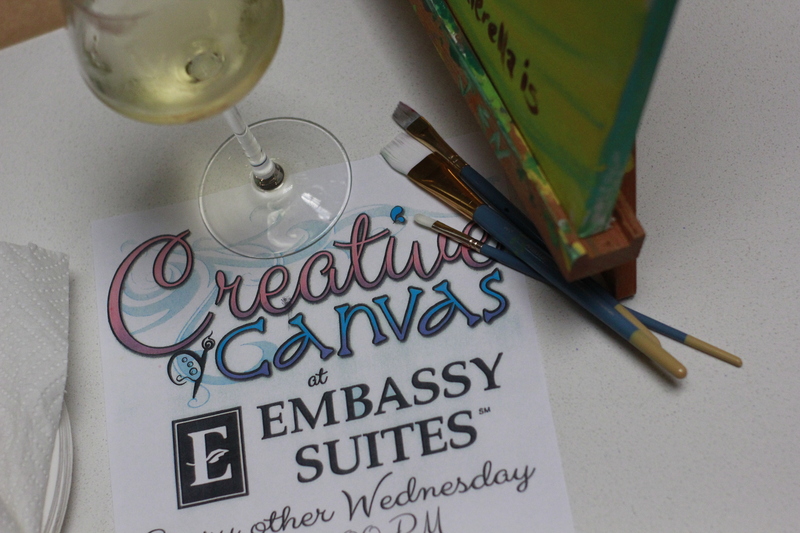 If you are a hotel guest and don&apos;t want to have to pack your painting, the Embassy Suites Irvinecan SHIP your painting home to you!